Google wants its software to qualify as the driver of its autonomous cars, but the Department of Transportation says not so fast. 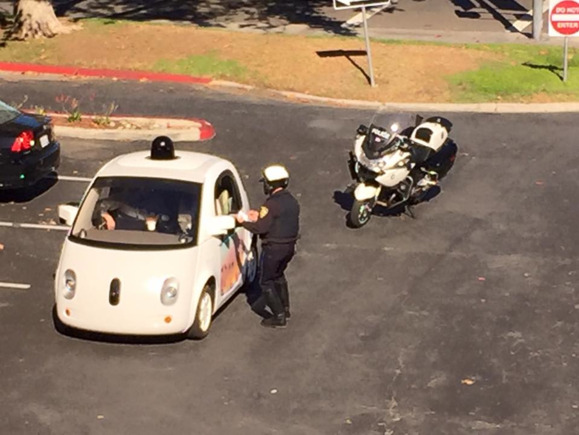 Google seems to be leading the way in making self-driving cars a reality, both technologically and legally. Just last month, U.S. safety regulators ruled that the company’s software could be considered the driver of autonomous cars, but according to the Department of Transportation, there are still a few caveats. “It’s more nuanced than [software as driver],” U.S. Department of Transportation Chief Innovation Office J. Christian Gerdes said during his panel at South By Southwest on Saturday. “There could be a reasonable interpretation [of the federal motor vehicle laws] but it doesn’t automatically remove all the barriers,” he added. For example, federal law requires automakers to include a foot brake as part of their car design. Google, on the other hand, is looking to simplify the design of its self-driving car and remove unnecessary components. “We want to simplify the interior without a steering wheel and without brakes,” Google’s director of the Self-Driving Car Project Chris Urmson said during his panel on Friday. The legal back-and-forth between traditional government regulations and the new realities of self-driving technology could be a long road. On Tuesday, Urmson is set to testify at a Congressional hearing about safety protocol and road regulations involving autonomous cars. Google’s argument seemed to have scored a win back in February, when the National Highway Traffic Safety Administration declared it could be possible to legally consider autonomous technology as the driver of a vehicle, instead of a human driver. “If no human occupant of the vehicle can actually drive the vehicle, it is more reasonable to identify the driver as whatever (as opposed to whoever) is doing the driving,” Paul A. Hemmersbaugh, chief counsel of the NHTSA, wrote in a Feb 4 letter in reply to a Google request. Gerdes concluded by saying that he expects to see big strides in safe, self-driving car technology within the next five years.